Considering it’s January, I think a chili recipe is in order. 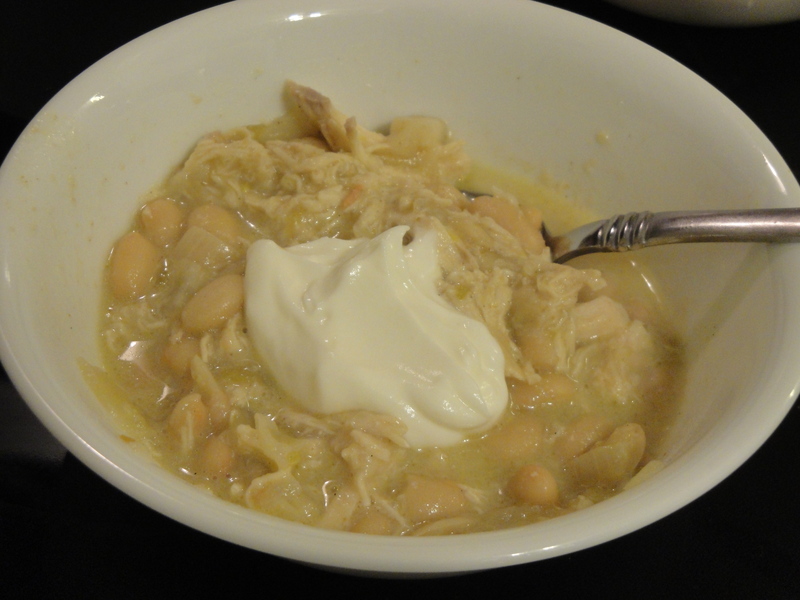 This is one of my favorites…I like it a lot better than traditional chili, but that’s just me. The other thing is, it’s easssssy. That’s never a bad thing. I’ve adapted this some to fit my chaotic life, and yours too. Also, this recipe can be as spicy or as mild as your family likes. I only add one can of chilies and omit the cayenne pepper – although I’d realllllly like to put them in! Let me make a note about when a recipe calls for cooked chicken. To save myself time, energy and money, I periodically cook up a whole chicken. I throw it in a pot on the stove, add a little water in the bottom, cover and simmer for an hour or two. When it’s finished I pull all the meat off the bones and place it in 3 freezer bags, 2 cups each. Then when a recipe calls for chicken, I just grab a bag out of the freezer. For this chili recipe I actually cooked an entire chicken and used half of the meat. If you are attached to breast meat, then by all means stick with that, but this is a cheaper, maybe easier, alternative. Heat oil in a large saucepan or dutch oven. Add the onions and cook over moderate heat until translucent, about 4 minutes. Add the canned chilis, garlic, cumin, and cayenne and cook, stirring for about 3 minutes. Add the beans, chicken, stock, and 3 cups of cheese. Simmer for 10 minutes and add salt to taste. Ladle the chili into bowls and serve topped with chopped jalapenos, sour cream and extra cheese.